Before she hit the stage for her performance, Andra Day posed on the red carpet at the 49th NAACP Image Awards at the Pasadena Civic Auditorium yesterday evening(January 15th) in Pasadena, CA. 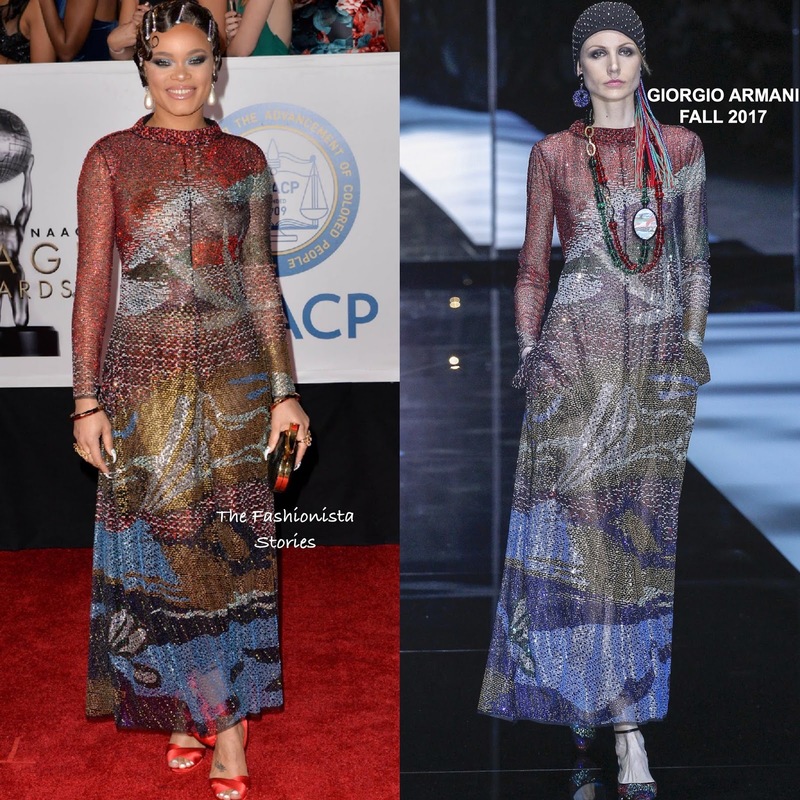 She looked beautiful as always wearing a long sleeve multi-colored, graphic GIORGIO ARMANI FALL 2017 ankle length dress with a mock neckline and side pockets. Andrea's make-up is always flawless and last night was no exception. A pinned, wavy hairstyle, a GIUSEPPE ZANOTTI clutch and CHRISTIAN LOUBOUTIN sandals finished up her beautiful look.